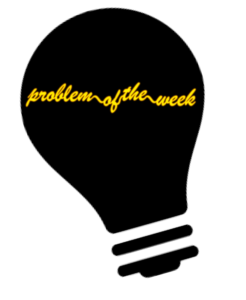 Problem of the Week: Passing Grades | The Gettysburgian. THE RULES: The contest is open to all Gettysburg College students. Up to three people may work together on a submission. Make sure your name is on your submission and that any sources are properly cited! Send solutions to bkennedy@gettysburg.edu or put solutions in the marked envelope in the hallway outside Glatfelter 215. This problem was posted on Friday, August 31 and solutions are due on Friday September 7 by 5:00 p.m. Seven professors are standing in the hall. Each is holding a student paper that s/he doesn’t want to grade. They decide to swap papers, thinking that it will be more interesting to grade a paper from somebody else’s class. Each of the seven professors hands a paper to one of the other professors. Nobody keeps their own paper, and everybody receives exactly one paper; otherwise there are no restrictions on how the passing is done (it is possible, for example, that two of the professors merely exchange papers with each other). The professors then pass the papers several more times, everyone always passing to the same person they passed to at first. Suppose that each professor makes 901 passes in total. QUESTION: How many of the professors wind up with their original papers? Answer, and explain how you know your answer is correct.